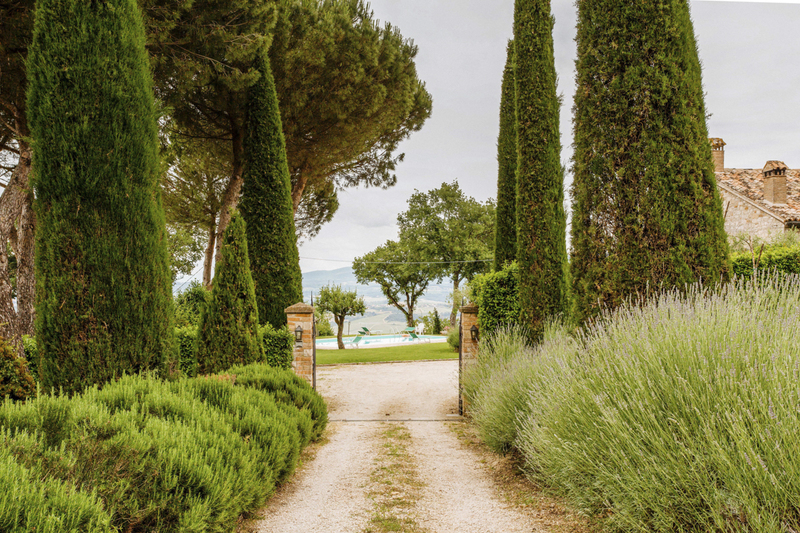 The approach to Villa Mirabilis, along with the cypress and lavender, lined driveway, signals that this is going to be an extraordinary place. 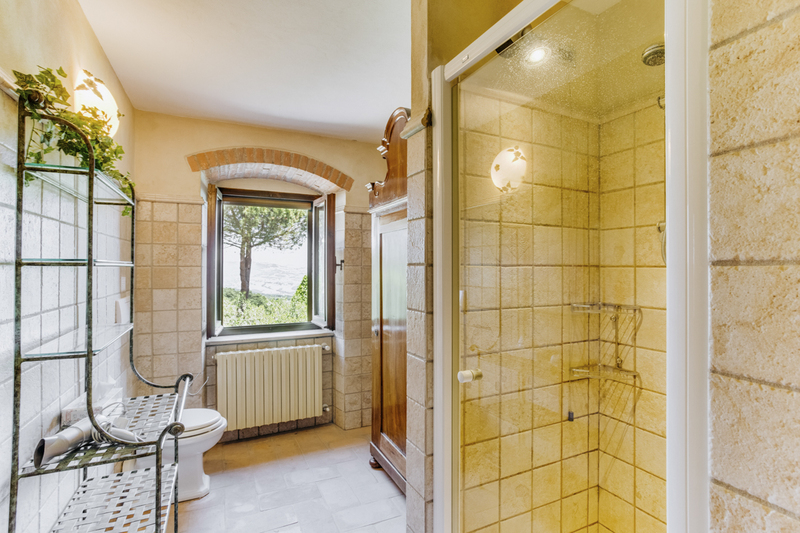 And it is. 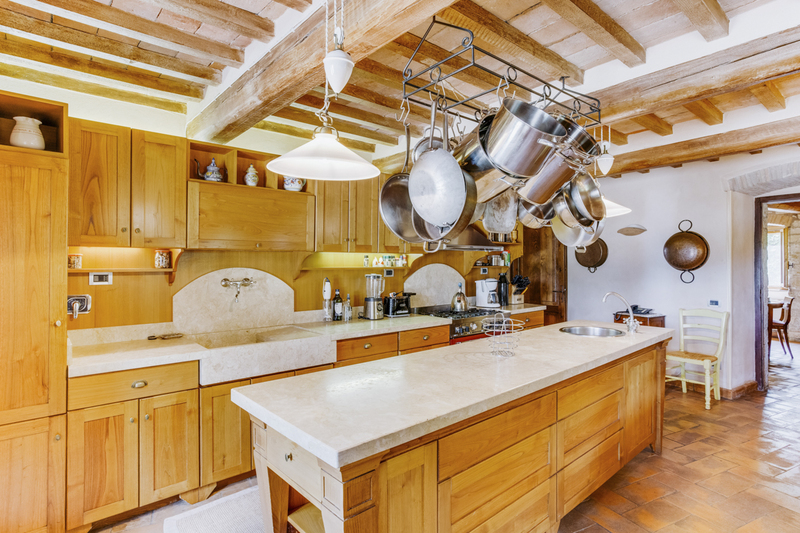 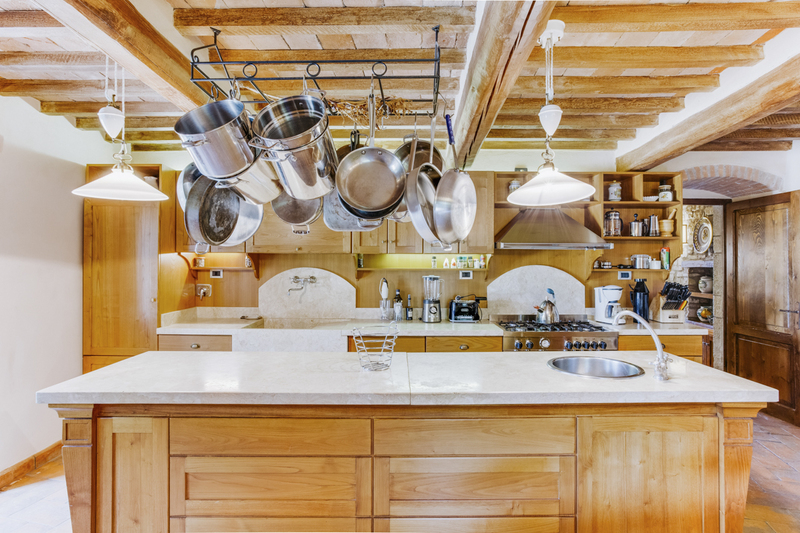 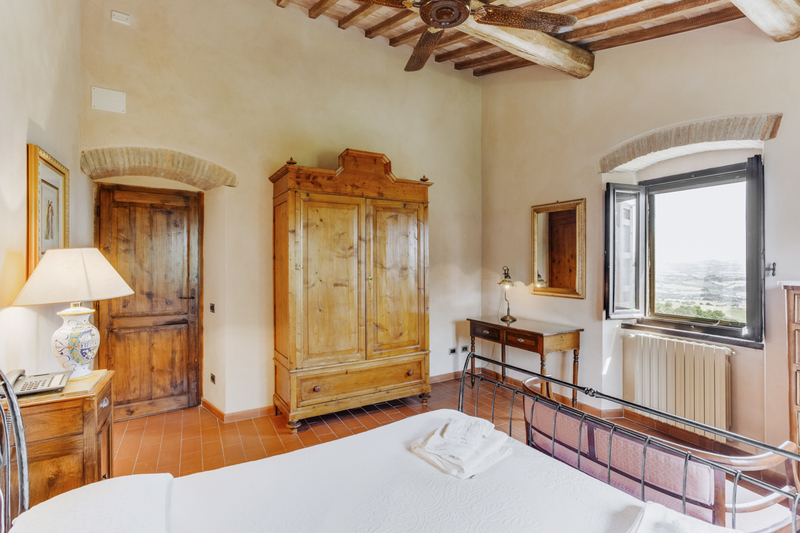 Newly restored in a traditional Italian style, the elegant stone building has breath-taking views over the Tiber valley, to picture-postcard Todi and the mountains beyond. 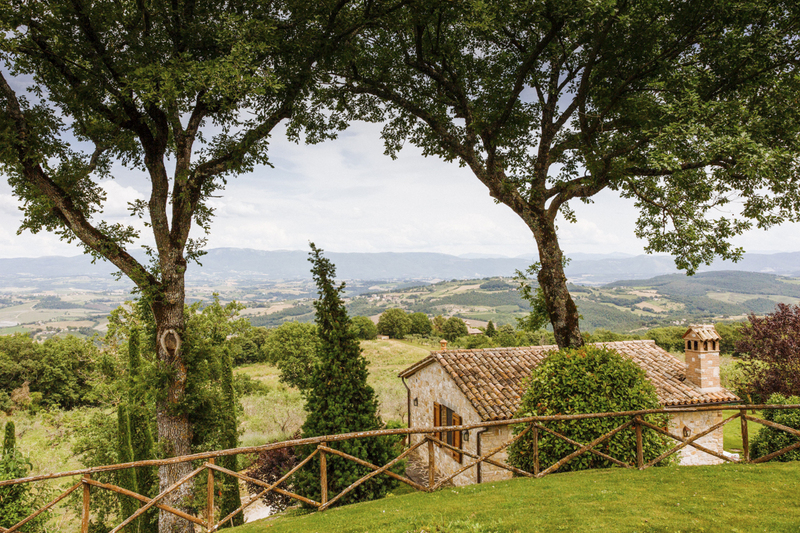 Umbria is often called ‘the green heart of Italy’ and being central it’s possible to reach the coast to the west near Rome or the east, the Adriatic, in under 2 hours. 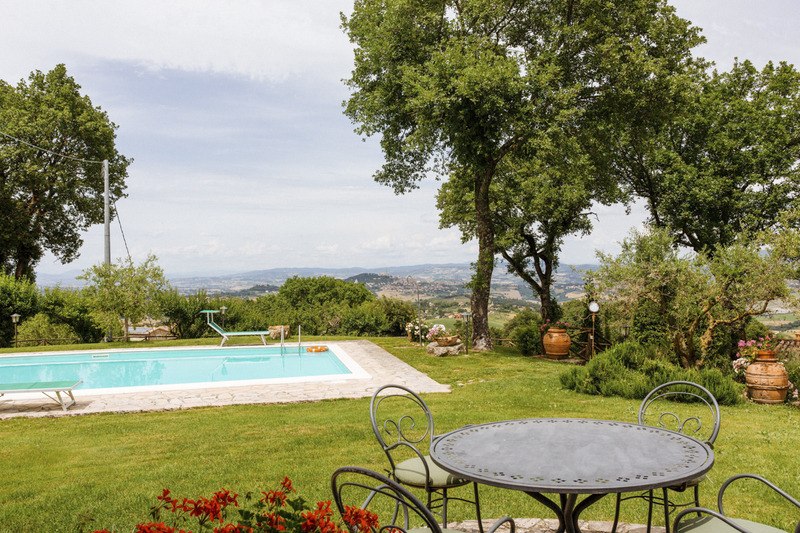 But there’s a wealth of interest and beauty on the doorstep in Umbria: Todi, for example, the nearest (12km) of several charming hill towns have a beautiful piazza, Piazza del Popolo, which has been the backdrop for many a movie. 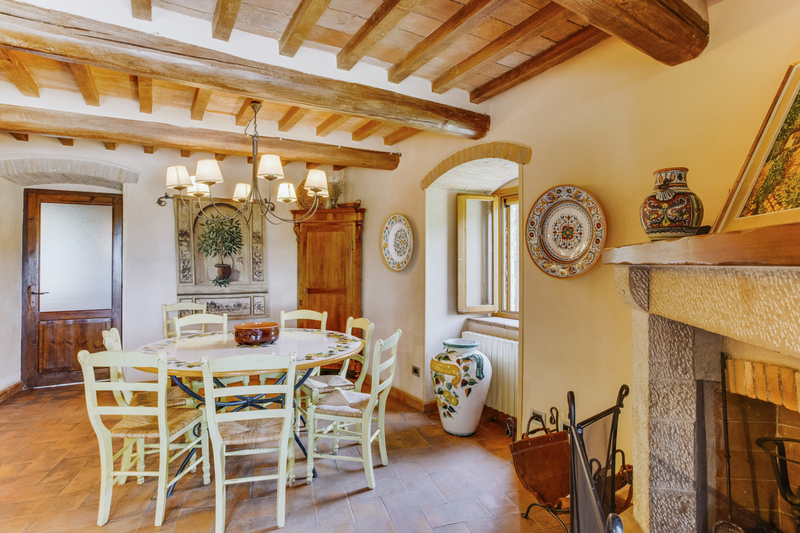 There are lots of restaurants serving good, traditional, Umbrian food to suit all pockets. 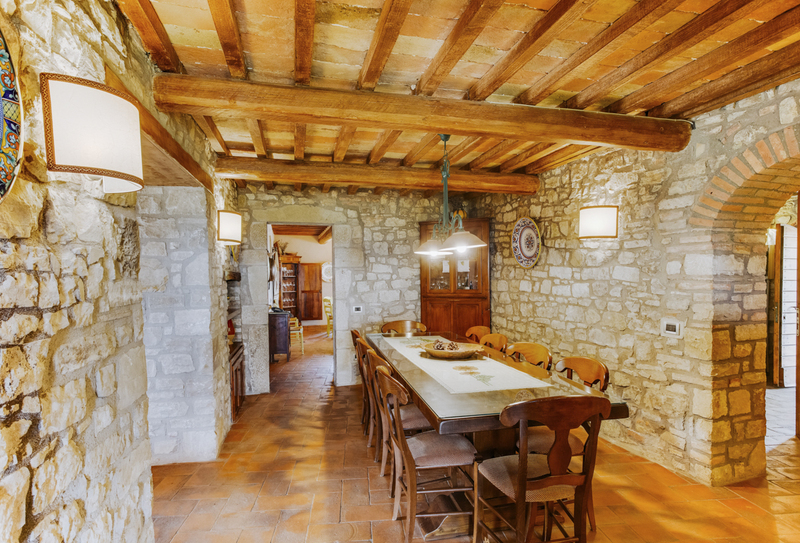 You can immerse yourself in history too, in Todi and surrounding hill towns. 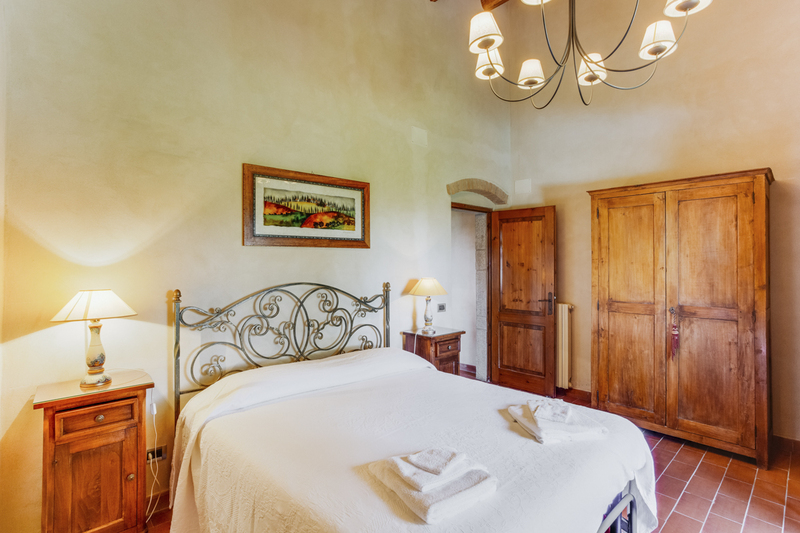 All sorts of activities are available nearby including cycling, hiking, wine-tasting, water-sports, fishing and horse riding. 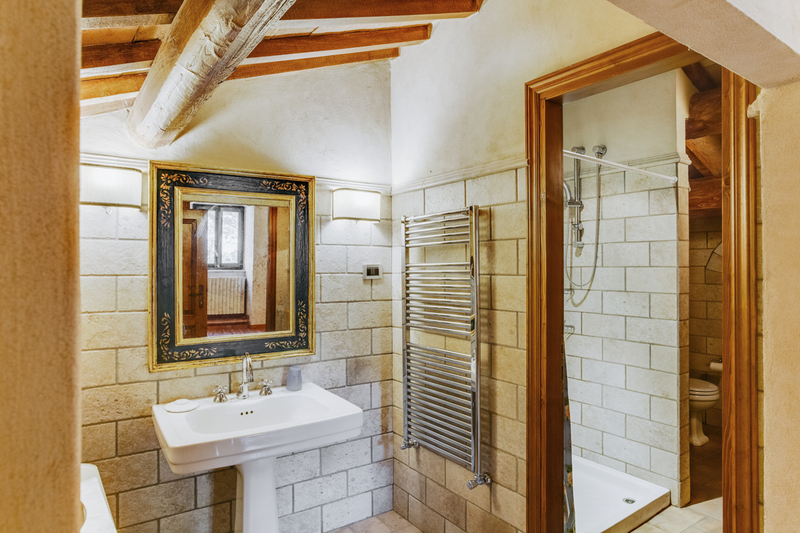 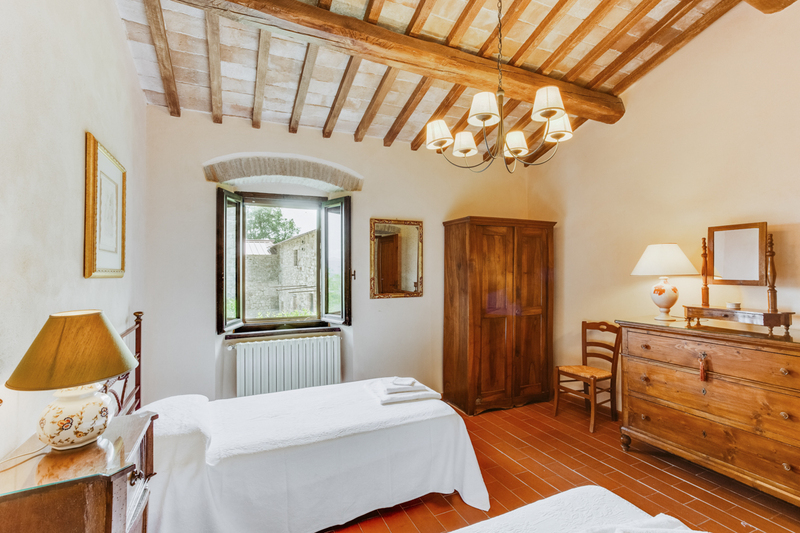 The interior has a well thought-out layout: the rooms are spacious, and all have views of the beautiful Umbrian countryside. 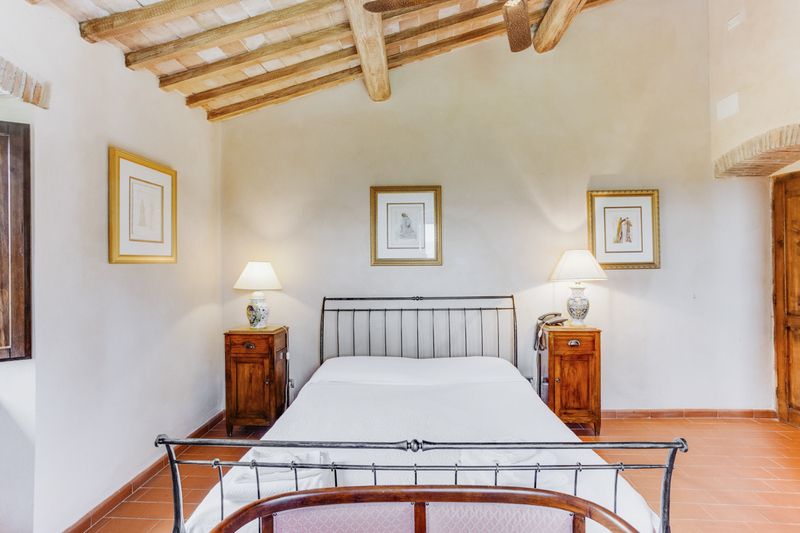 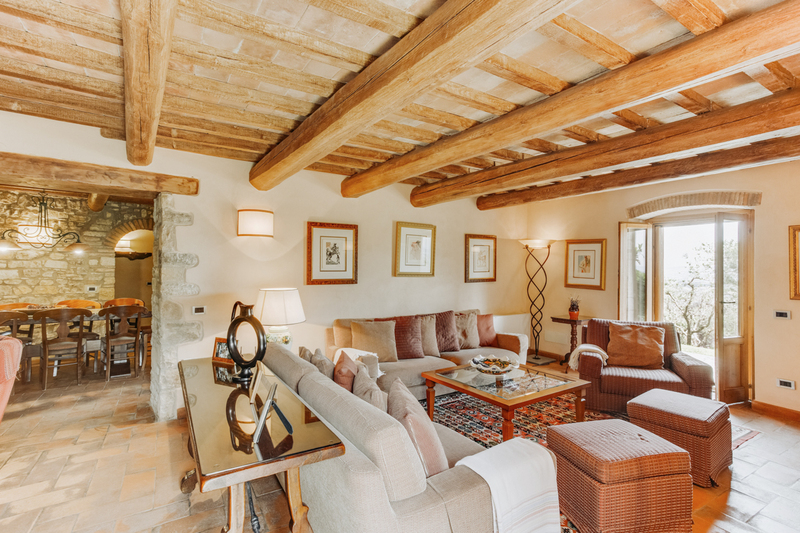 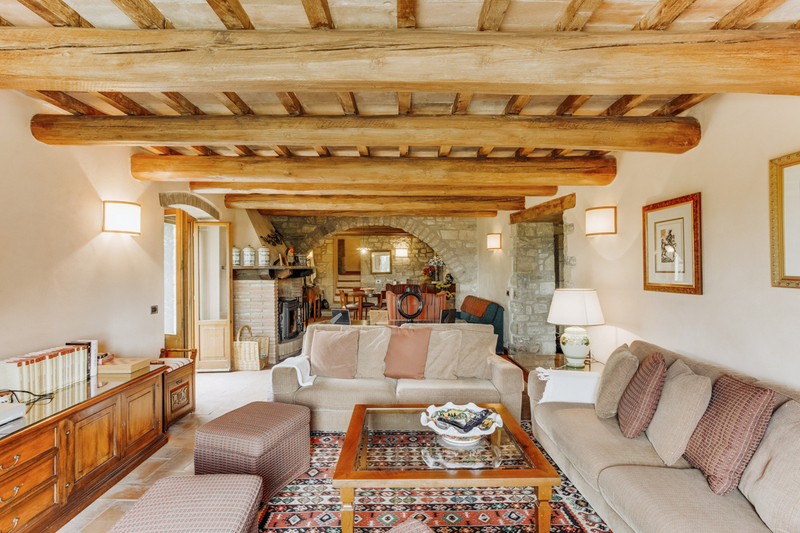 Exposed ceiling beams and handmade terracotta floors, together with the tasteful decor and comfortable furnishing, all contribute to a beautiful home. 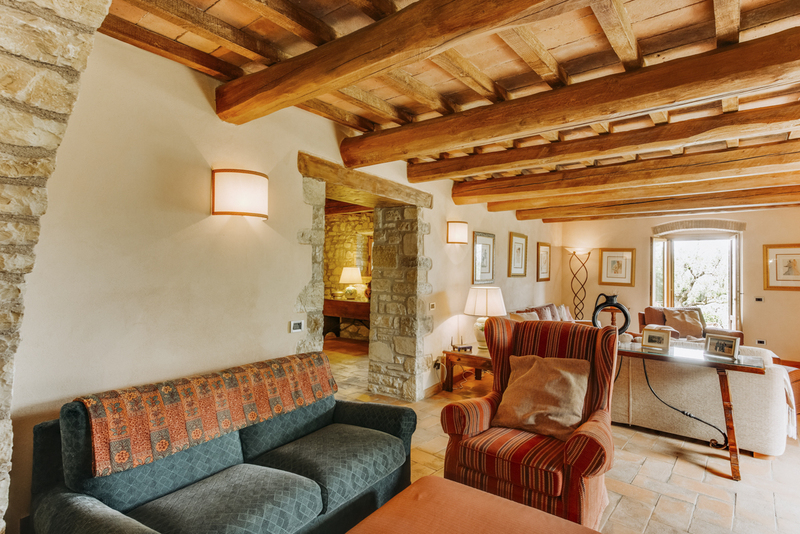 The ground floor has a designer kitchen, which includes an island and a table seating 8; a dining room seating 12 leading to a covered terrace, seating 10; a sizeable sitting room with a fireplace, sofas, an entertainment area and a card table area; a bathroom and a laundry room. 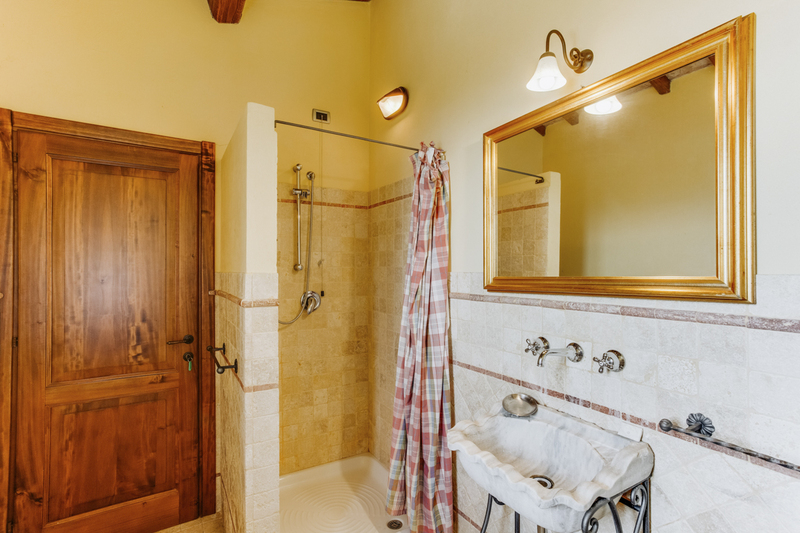 On the first floor, there’s a spacious hallway leading to 3 double bedrooms, one twin, and two bathrooms, and there’s a further double bedroom with en-suite bathroom on the second floor. 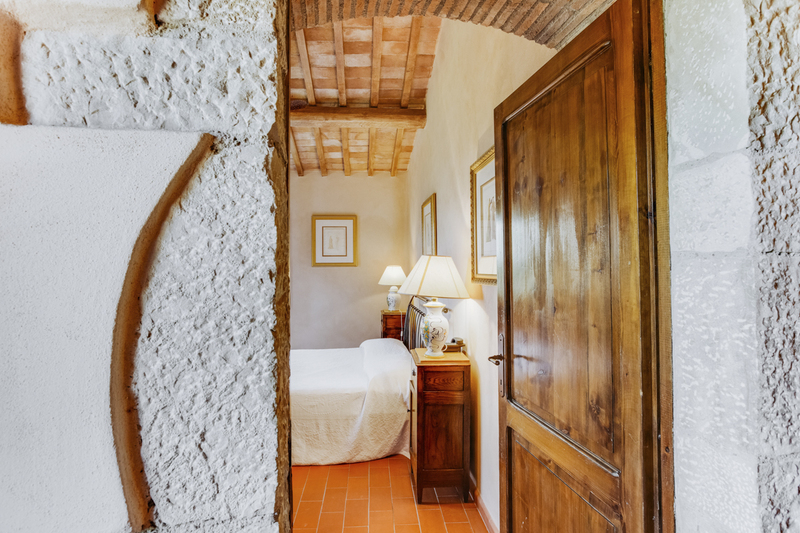 There is also a stone cottage annexe, which is of the same high standard as the villa. 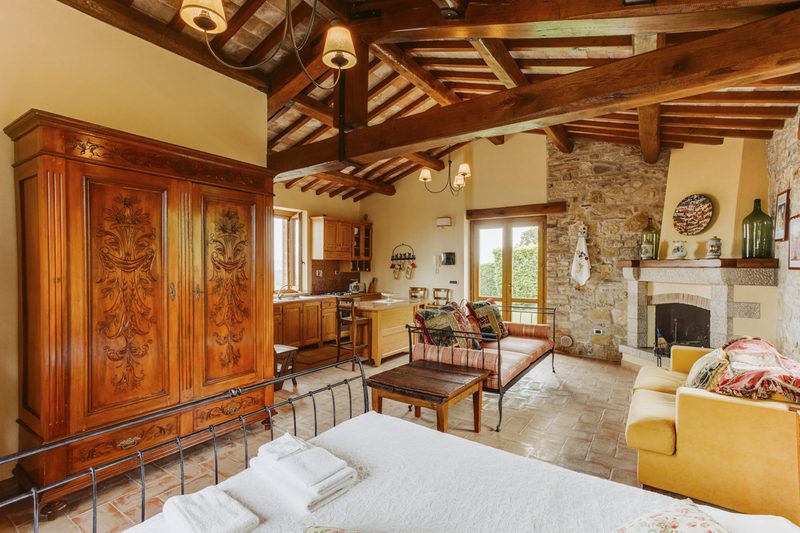 It comprises a large room with a kitchen, living room and bedroom with double bed and a day bed, and there’s a separate bathroom. 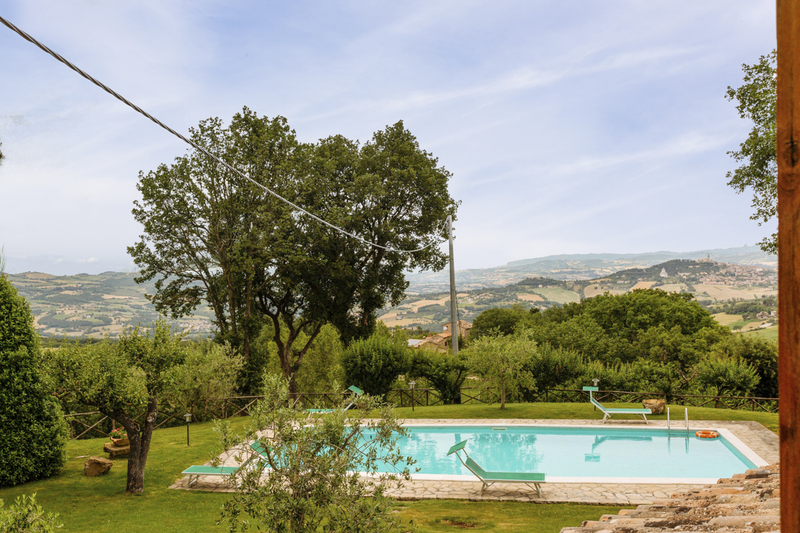 Surrounded by 18 acres of ground with olive groves, woods, fields, a vineyard and a lovingly tended garden with neat lawns, colourful flora, herbs and vegetables for your use, a pool, a patio, a covered terrace with dining area and a barbecue, it is indeed a gem of a place. 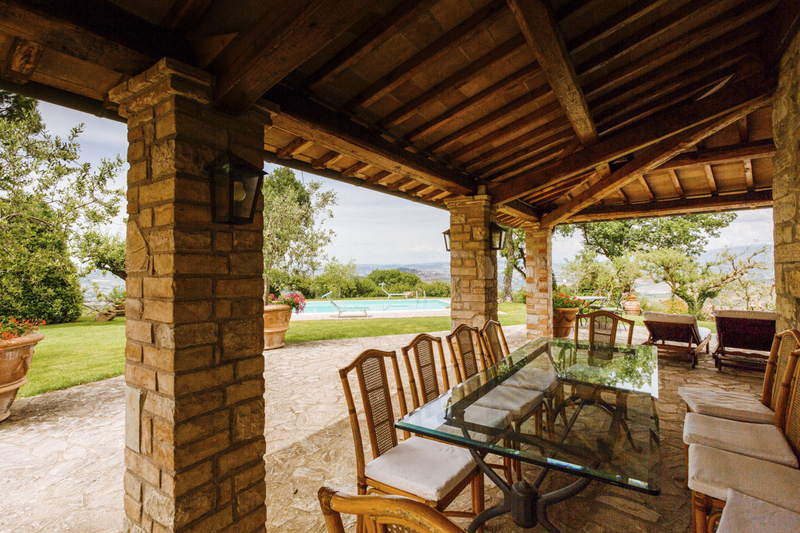 Villa Mirabilis is located in the heart of Italy in the region of Umbria. 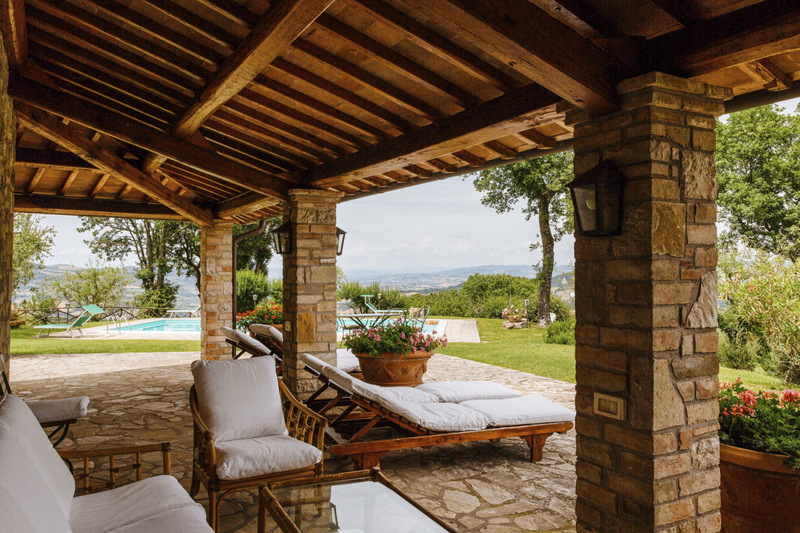 Umbria is bordered by Tuscany to the west, the Marche to the east and Lazio to the south. 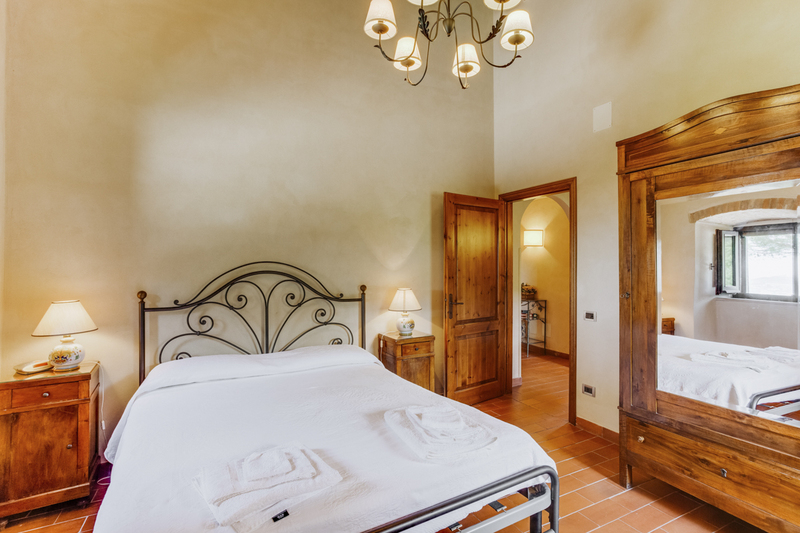 The hilltop town of Orvieto is under 30 km away and accommodates many remarkably beautiful historic attractions including the stunning Gothic Cathedral of Santa Maria Assunta. 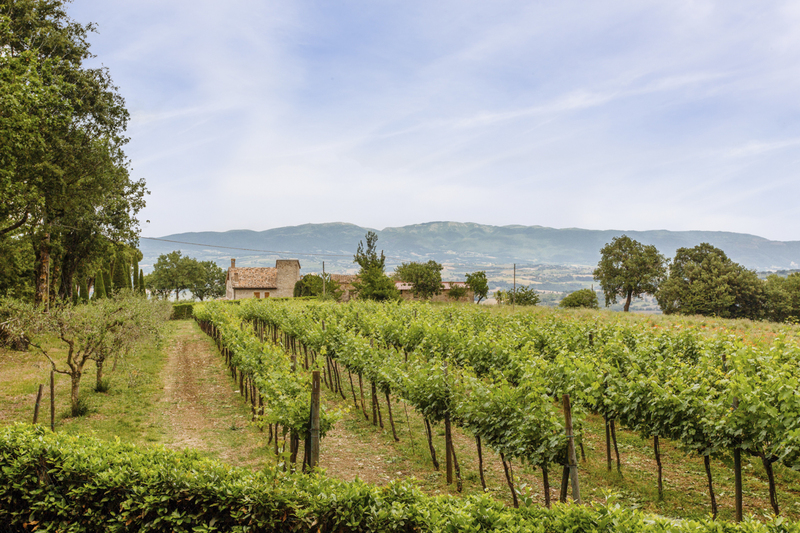 Around 10 km in the other direction takes you to the ancient town of Todi, first mentioned in 1300 BC in Roman mythology as a town built by Hercules on the site where he slew the fire-breathing giant Caucus. 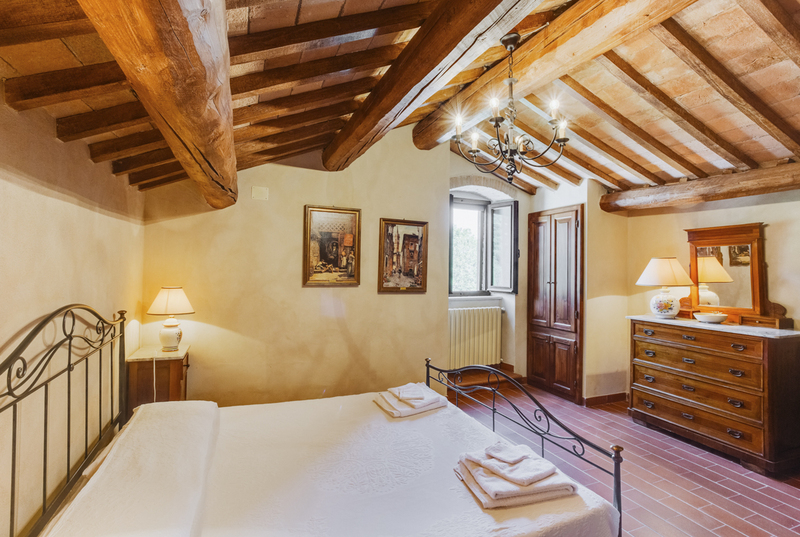 Today you can visit many grand medieval Palazzo, and visit one of the oldest common spaces in Italy, the Piazza del Popolo, a Lombard-Gothic construction that existed in the 11th century and is often used today as a movie set.